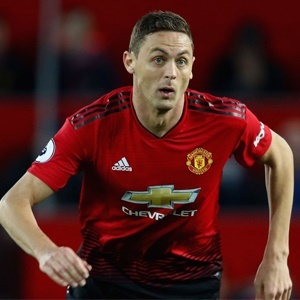 Manchester - Manchester United are hoping Nemanja Matic can shrug off a knock in time for Saturday’s arrival of Watford to Old Trafford. After picking up a knock in training Matic was forced to sit out Serbia’s international matches against Germany and Portugal in the week. However, there are still hopes Matic will have recovered in time for the Premier League encounter against the Hornets, in what will be Ole Gunnar Solskjaer’s first game in charge as permanent manager at United. The Red Devils chief has other injury doubts with defensive quartet of Antonio Valencia, Luke Shaw, Matteo Darmian and Eric Bailly also carrying knocks. In the attacking department, further assessments need to be carried out on Marcus Rashford, Anthony Martial and Romelu Lukaku. Alexis Sanchez remains a more long-term absentee with knee ligament damage but it’s hoped the Chilean will be back before the end of the season.